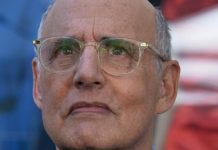 April 11 (UPI) — “Transparent” creator Jill Soloway says Jeffrey Tambor’s character will indeed be killed off on the show. 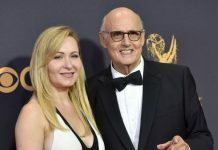 The 53-year-old writer and director confirmed the death in an interview with the Los Angeles Times published Thursday, prior to the Amazon series’ musical finale. Tambor, who plays Maura Pfefferman, was fired from “Transparent” in February 2018 following allegations of sexual misconduct. Soloway said the finale will begin with Maura’s death and follow the Pfefferman family (Judith Light, Amy Landecker, Jay Duplass and Gaby Hoffmann) as they grapple with her passing. “Transparent” shared a first look at Light as Maura’s ex-wife, Shelly Pfefferman, with USA Today. The finale, titled “The Transparent Musicale Finale,” will be released on Amazon sometime in the fall. Soloway and her sister, Faith Soloway, wrote the music and lyrics for the episode. “It felt like a confluence of all these things, to go on a journey of all the show’s success as well as the pain of last year losing Jeffrey … and to have been able to turn toward my sister, Faith, and her music, to create a musical,” Soloway said. “Transparent” debuted on Amazon in February 2014. The series, which follows Maura’s journey as a transgender woman, completed its fourth season in September 2017.